Research and development and race engineering are areas in which Jack Valentine has an impressive track record. Every aspect of turning a new production model into a thoroughbred race bike, from chassis to engine development, carried out to the exacting standards of any manufacturer, importer or private individual. 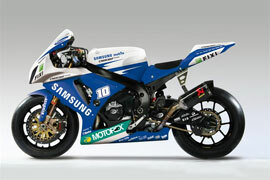 Other options are then available to the client such as the production of FIM-spec race kits for resale.